MyMRP. MRP Showcase Volunteers: Everything you need to know! MRP Showcase Volunteers: Everything you need to know! The MRP & Classic Wallabies cannot thank you enough for being part of our Volunteer community. 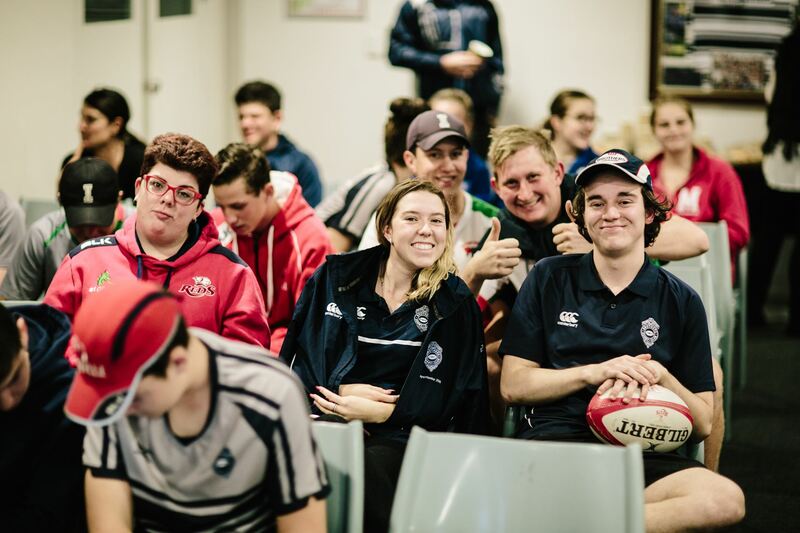 You will be part of Australia’s most inclusive rugby event, showcasing the spirit of inclusion that runs deep within the fabric of Brisbane’s rugby community. 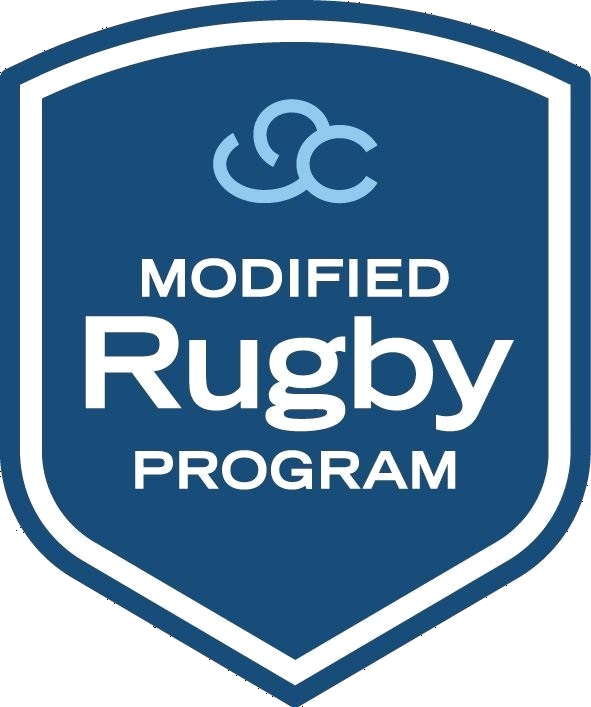 Your contribution of time helps to strengthen the ties between us all and helps us raise much-needed funds to grow the MRP and Classic Wallabies programs. Thank you from all of us at MRP and Classic Wallabies. Event Host: VIP guests, MC, Media, Videographer, Alumni. Event Host: VIP guests, set-up and pack-down of merchandise + branding assets, MRP Club marquees. MRP operations manager, overseeing all elements of the event from MRP side and liaising with Classic Wallabies Operations Manager. We want everyone to HAVE FUN, BE POSITIVE AND UPBEAT. However, to ensure the day runs smoothly and your safety, please take a moment to familiarize yourself with the details below. Your name will be on our volunteer list, which entitles you to free entry on the day. Please make sure you have your name marked off the list when you enter at the ticket gate in the Volunteer lane. At the Main MRP Marquee (6 x 3 marquee located near Brothers Rugby Club), thirty minutes before the published start times for the start of the shift. i.e 1.30pm for a 2pm-4pm shift OR 3.30pm for a 4pm-6pm shift. All Volunteers must complete the sign in and out form prior to and at the end of their shift. Pick up MRP Volunteer t-shirt, MRP supporter cap and sunscreen. Please return the Volunteer t-shirt at the end of your shift. The cap is our gift to you to keep. Personal items may be placed in the Volunteer box located at the main MRP Merchandise Marquee. (note all items placed in this box are at the owner's own risk). Obtain information relevant to your position from the Volunteer Co-ordinator or handover if you are on the 4pm shift i.e. money bags, forms, EFTPOS machines, clipboards. All Volunteers must sing out at the end of their shift. Return your Volunteer t-shirt to the Volunteer Co-ordinator. Collect any personal items, if you have left them in the Volunteer box. MRP Volunteer t-shirt. You will be allocated a MRP volunteer t-shirt to wear for your shift. Shirts can be worn with comfortable clothing, keeping in mind it is likely to be a very hot day. MRP Cap. We will provide you with a MRP cap, which is yours to keep. However, if you’d prefer to wear a more protective sun-hat, please bring one along. Closed in shoes are preferred for your safety. Closed in shoes are mandatory for; car park and jumping castle volunteers. Sunscreen will be provided at the MRP Merchandise marquee and is recommended to be worn. Always have your mobile phone at hand, so you can be contacted or can contact one of the Event Coordinators in the event of any emergencies. Volunteers cars can be parked for free, by advising their number plate and position they are volunteering for. Note 1 car per volunteer and will be subject to availability. Bottled water is available for volunteers in the main MRP Merchandise marquee. You are also welcome to bring your own water bottles too. The same bottled water is also being sold to the general public, however, please only obtain water from the allocated volunteer water. If you cannot answer a question, or don’t know the answer to a question then simply say “I am unable to answer that accurately; however, I will find out the answer and get back to you before the end of today, or direct them to the MRP Merchandise Marquee”. If it’s not related to your area, make a note and pass it onto the relevant person so they can answer the question with authority. During work hours, volunteers should be alert and not under the effects of alcohol or drugs. Sun protection should be practised, hats and sunscreen are recommended. Activities which have a risk of causing harm or damage should not be undertaken. Be aware of the health and safety of those around you. FIRST AID: All basic health issues are to be reported to the Brothers Club House. In more serious cases advise Event Co-ordinator and call an Ambulance if relevant. Pre-purchased or allocated (ie volunteers or Match players) – a ticket must be presented upon arrival for scanning. Floats and EFTPOS machines will be provided on the day with instructions. 5.30pm commence packing down ticketing booth. A dedicated Chillout Room has been set up in the Club House for any child who may need “time out”. This room is designed to be a quiet room for children. Children must be accompanied by a parent/guardian at all times whilst in this room. Please let families know this room is available. Only guests who have paid to be in the VIP marquee can enter the room. They will be identified by a coloured wristband. The specific colour is yet to be determined. Bottled water and biscuits will be available for sale to the general public from both MRP Marquees. Please encourage people to purchase these as all profits made will help us. ** Note if anyone has food allergies, we recommend avoiding the biscuits. If a person who is making a donation over AUD$2 would like a tax receipt, these will be available in the clipboards that will be handed out with the buckets and fill in the receipt details. Become a regular donor (i.e monthly) they can either go directly to www.mymrp.org or complete a regular donor form in the clipboard. This form can then be handed to the volunteer coordinator at the end of your shift. Donate at a later stage, provide them with a donation business card, again located in the clipboard. Newsletter – also located in the clipboard is a form to take people’s email addresses if they would like to be added to our regular newsletters. Those who require EFTPOS machines as part of their role will be shown how to use them on the day. If your machines runs out of power or paper return it to the Volunteer Co-ordinator who will swap it for a new one. All money collected in the donation buckets or money bags from the sale of water and biscuits is to be handed to the Volunteer Co-ordinator either at the end of your shift or if you during if needed. If you require additional change for your float please contact the Volunteer Co-ordinator who can arrange this. The purpose of this marquee is to provide the general public with information relating to our program. There will be information flyers for the program and PlayerMentors to hand out. Have a donation bucket available. The purpose of this marquee is to be the central point for volunteers to obtain the information they require and for us to sell our supporter merchandise (polo shirts and caps). Note: The money from merchandise sales is to be kept separate from all other sales and donations. There will be a separate EFTPOS machine and float available for this. Supervision of participants must be by a competent adult over the age of 18yrs of age and must be in attendance at all time during the shift. The supervisor must ensure that an appropriate mix of persons only participates at any one time. Ensure participants are matched in weight or age. This safeguards against larger participants falling and injuring smaller ones. The supervisor is responsible to monitor and manage appropriate behaviours of participants; no rough play, somersaults, backflips etc. Make sure participants remove shoes, belts, glasses, jewellery or any other item which may cause damage to the equipment and NO food, drinks or gum allowed. Children under 3yrs of age are not permitted on the inflatable without adult supervision. No acrobatic maneuvers or rough play allowed. No climbing on walls, beams or towers. Shoes, belts, jewellery or glasses must be removed prior to entry. No food, drinks, snacks, gum or sprays. People with head, neck, back or other muscular-skeletal injuries or disabilities, pregnant women and others who may be susceptible to injury from falls, bumps or bouncing are not permitted to use the equipment. Work in a team - one as a cashier and the others as attendants supervising directional parking. This will be lead by Brothers volunteer, Steve Ferrier. Wear a hat on the day and safety vests – safety vests must be worn before commencing duty and obtained from the main MRP Marquee. Safety vests are to be returned at the end of the shift back to the main MRP Marquee. Ensure cars pay $5 before each car passes through via cash or EFTPOS. Direct the cars with definite gestures to parking places in an organized and timely manner. Ensure maximum optimization of car parking spaces. Remember some drivers are not accurate in their judgement of distances, so watch for your personal safety, particularly your toes. Watch for any suspicious behaviours in and around the car park. Give all collected money to the Volunteer Coordinator. MRP Exhibition Matches: Everything you need to know! Subscribe and become part of the our community. Copyright © 2019 MyMRP. All rights reserved.